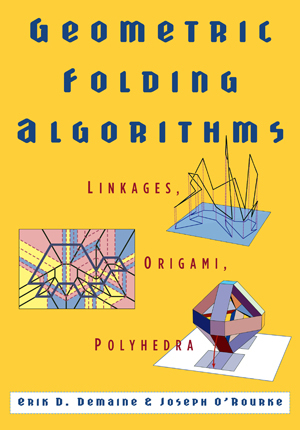 This is the start of a collection of web pages supporting the monograph Geometric Folding Algorithms: Linkages, Origami, Polyhedra . In particular, the pages consist of the book's table of contents and errata; an electronic copy for owners of the physical book; applets and other supplementary material; related PowerPoint presentations; and a survey paper that in some sense a short form of the book. Erik D. Demaine and Joseph O'Rourke. Cambridge University Press, July 2007. xii+472 pages. ISBN 978-0-521-85757-4. Supplementary Material: Applets, Links, etc. 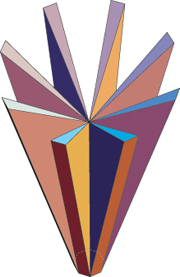 "A Survey of Folding and Unfolding in Computational Geometry"
Eds. Jacob E. Goodman, Janos Pach, Emo Welzl. Mathematical Sciences Research Institute Publications, Vol. 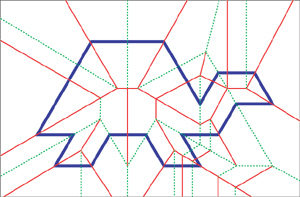 52, Cambridge University Press, 2005, pp. 167-211. All material in these pages is Copyright 2006–2010 by Erik D. Demaine and Joseph O'Rourke.